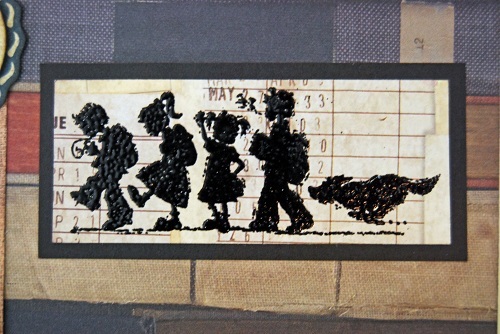 I used black embossing powder on the image of the kids walking to school. I needed something really dark as I was stamping on patterned paper and wanted the image to pop against it. 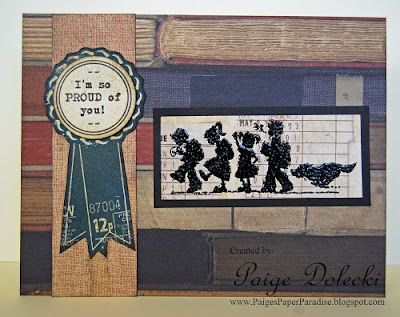 Now that I have our new mini Pigment Ink Pads, I would use those instead as the ink has almost a raised appearance and has fabulous coverage.